Looking for a ball that can match your rugby class, look no further than the adidas Eden Park Rugby Ball, which comes in an unmissable Collegiate Navy, White, Pink and Blue combination. 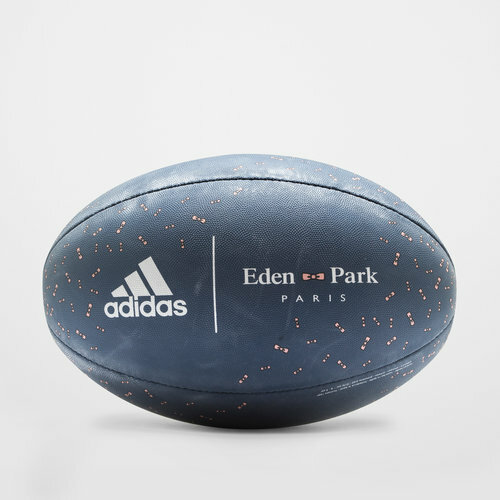 This adidas ball which has been designed in collaboration with French brand, Eden Park and features a highly durable, hand-stitched outer which improves kick and pass accuracy, whilst keeping the ball longer lasting. An internal bladder helps to keep the ball inflated perfectly keeping that all-important sweet spot, kick after kick.